Tackling an automation project, like Script Development, requires an immense amount of time to test, and deploy the script, with time and budget concerns constantly affecting productivity and development. At Summit Healthcare, we provide the most professional service team to assist your organization to get your script up and running thoroughly, efficiently, on budget, and on time. Customer satisfaction is our guarantee, and Summit Healthcare will work side-by-side with your team at every level to ensure your organization is satisfied. Since 1999, Summit Healthcare has made it a priority to provide automation and healthcare scripting technology to hospitals and organizations across the medical community with the Summit Scripting Toolkit. We understand that every organization has different needs and unique challenges, and we work tirelessly to tackle simple scripts, the most complex of automation projects, and everything in between. 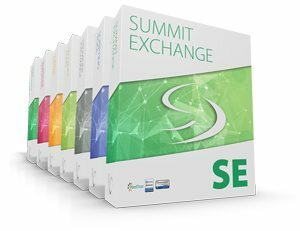 We at Summit Healthcare take immense pride in the unparalleled flexibility of our Summit Scripting Toolkit. We have worked for decades to make our products flexible and adaptable enough to benefit any organization. However, there are times and unique situations that require a personal focus on the specific needs of an organization’s automation processes. In these scenarios, Summit Healthcare is happy to lead the automation team to create the perfect fit for your organization. Our experienced team of professionals will delve thoroughly into system integration of all types, shapes, and sizes. Our team understands that tackling an automation project can stress your staff, risk patient safety, and add unneeded time and budget constraints. We realize that data transcription errors and lack of proper integration methods can place a massive dent in the workflow of an organization, and we are happy to provide you with our massively flexible processes, and work one-on-one to implement specific solutions to your specific needs. Leverage Healthcare Scripting today to streamline any and all of your workflow processes!